The lost stop of the GRAVEYARD SHIFT Tour! Fort Worth! 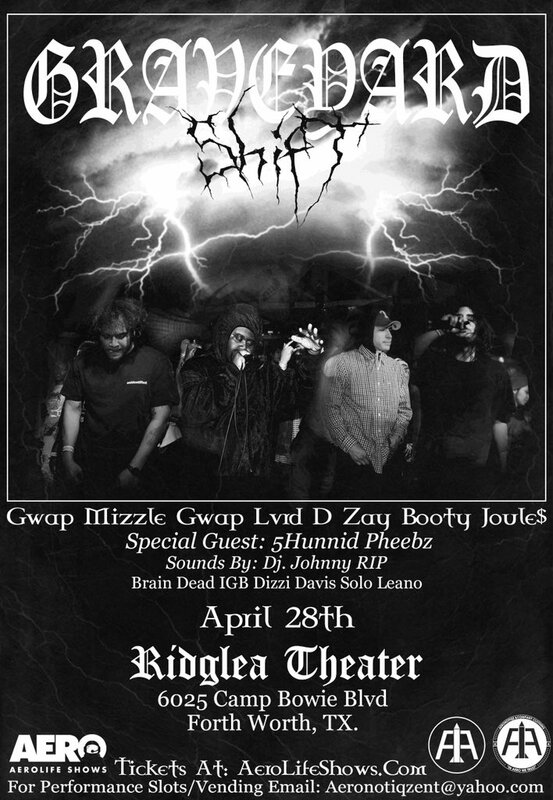 Catch the headliners Gwap Mizzle, Gwap Lvrd D, Zay Booty, & Joule$! With special guest 5Hunnid Pheebz!